Hong Kong’s central waterfront is undergoing a massive redesign, an exciting process that has produced a rich mix of new developments, all with a variety of planned uses and activites. Structured according to essenital principles including respect for the natural context and existing urban fabric, diversity, vibrancy and green design, the current Design Study proposes several design corridors and precincts, each with its own distinct character, that create an overall vision for a vibrant and dynamic central waterfront. PPS has played an instrumental advisory role throughout this design process. 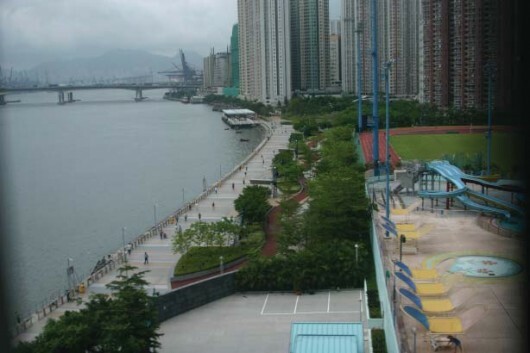 In 2005, PPS held a visioning workshop with community and civic leaders to improve the image and functionality of the Star Ferry and Cultural Center. In 2006, we advised Gammon Construction on their submission to the central waterfront; the fi rm was eventually awarded the contract. In the summer of 2007, the City of Hong Kong invited PPS to attend a two-day workshop and give a presentation on the qualities of a great waterfront. PPS’ input has continued to be essential in the waterfront redesign. 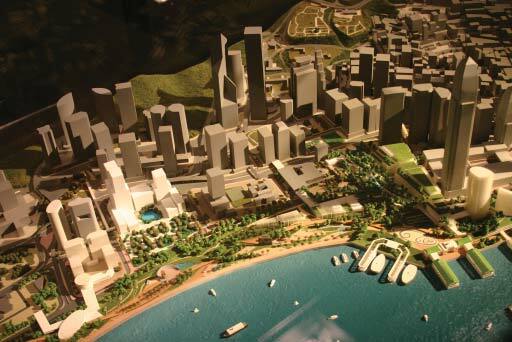 In June of 2008, we held a small workshop for the firm Designing Hong Kong around placemaking and community input as a way to define the Hong Kong waterfront. Increasing the role of public input is essential to transform Hong Kong’s waterfront into one of the world’s greatest. An early model of the waterfront redesign.